Dominika Egorova is many things. A devoted daughter determined to protect her mother at all costs. A prima ballerina whose ferocity has pushed her body and mind to the absolute limit. A master of seductive and manipulative combat. 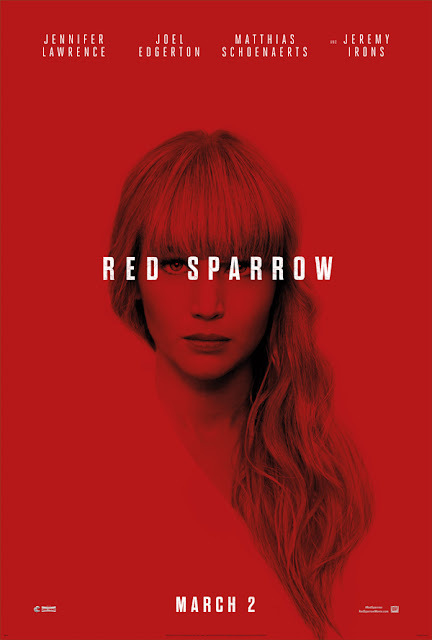 You and a guest are invited to an advance screening of RED SPARROW! Click the poster below for your chance to download an admit-two pass to see the film on Thursday, February 15 in Salt Lake City! Seating in the theatre is first-come, first-serve and is not guaranteed. Please arrive early! RED SPARROW opens everywhere March 2.